Newark finished the league campaign by gaining only a try bonus point in an encounter which produced 11 tries at Ashby. Overall, Newark came off a good second best against a relegated team who won by seven tries to four. Such was the fluctuating nature of the contest Newark had chances of success right up to the final few minutes. Ashby led 26-15 at half-time having pounced on Newark’s sleepy play to score four tries. Every time Newark got themselves into the match they allowed eager Ashby easy scores. 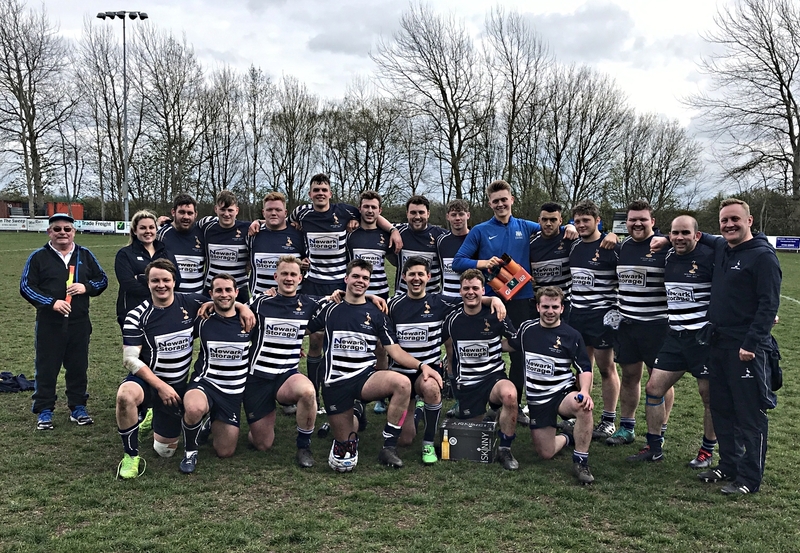 Newark kept on the toes of the home team through a penalty from scrum-half Sam Booth plus first-half tries from flanker James Brogden and a penalty try which rewarded some good forward play. The pack maintained the pressure at the start of the second half but further good chances of tries were wasted. Ashby eventually escaped the stranglehold to scamper a fifth try which put them 33-15 ahead. Even then Newark still had hope and a third try, this time from captain Will Britten, reduced the margin again. However, Ashby quickly countered for a sixth before wing Rhys Overland shot clear to score Newark’s fourth which clinched the bonus point. At 27-40, Newark optimists still had hope for the comeback to continue only for Ashby to grab the final try of a giddy match. Newark team: Hunter-Shaw; Taylor, Britten, Birch, Overland; Tate, Booth; Hempstead, Chapple, Coulam, Ellison, Seage, Brogden, Godfrey, Garland. Subs: Appleton, Bartsch, Tweedie. Tries: Brogden, penalty try, Britten, Overland. Newark's final first team game of the season is the Notts, Lincs & Derbys Shield final on Saturday 4 May, against Casuals, at Kelham Road.